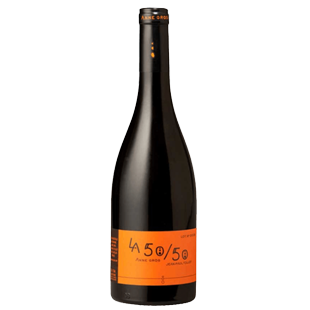 "A crunchy, vibrant and fresh style, the 2014 Minervois 50 / 50 has morphed from an even split of Syrah and Grenache to include a splash of Carignan. It reveals a vibrant purple color as well as fresh notes of spring flowers, plums, violets and black cherries. Medium-bodied, elegant and with light tannin, it shines for its terrific purity of fruit and clean finish. Drink it anytime over the coming 5-6 years."